This vibrant, engaging assortment offers children an entertaining introduction to the French language. From stories of friendship, family, discovery, and self-esteem to silly, snappy songs of one-of-a-kind barnyard animals, lullabies, and segments of classical music, children tune in to a variety of musical styles and multicultural experiences. The accompanying CDs provide children an opportunity to hear the pronunciation of the words and sing along as they learn the language. For his birthday, a small boy receives a very special gift: a skunk! 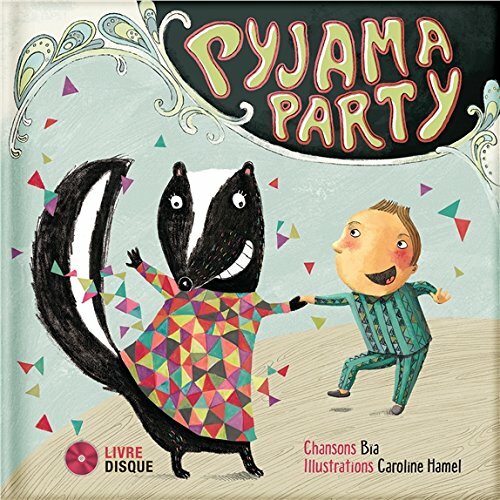 These fast friends organize a pajama party for all of the other animals; a zany cast of characters that include a sleep-walking dog, a grizzly bear policeman, and a rabbit who is deeply in love with a fox! This vibrant children’s book is accompanied by audio CD filled with tunes that move from rock to soul, and rap to disco, making it a book children can read and dance along with. If you have any questions about this product by The Secret Mountain, contact us by completing and submitting the form below. If you are looking for a specif part number, please include it with your message.